Isabelle Forrester is the exquisite wife of a prominent Parisian banker who has long since shut her out of his heart. For lonely years, Isabelle has lived a life of isolation, pouring her passions into caring for her desperately ill son, Teddy, and into making their Paris home as happy as possible for her teenage daughter, Sophie. Isabelle allows herself one secret pleasure: a long-distance friendship by telephone with an American man, a Washington power broker who travels in the highest circles of politics and who, like Isabelle, is trapped in an empty marriage. To Bill Robinson, Isabelle is a godsend, a woman of extraordinary beauty and intellectual curiosity—a kindred spirit who touches him across the miles with her warmth and gentle empathy. Their relationship is a gift, a lifeline that sustains them both through the heartache of marriages they cannot leave and will not betray. Agreeing to meet for a few precious, innocent days in London, Isabelle and Bill find their friendship changing. Then, amidst the sudden crash of steel against steel, they are thrust onto a new path, a path fraught with pain but also with possibility. Now, inside the cool, sterile wards of a London hospital, Isabelle and Bill cling to life, their bodies shattered almost beyond repair. In the days and weeks that follow, they slowly, painfully traverse a road to recovery littered with challenges of the body, spirit, and heart. Together, they must find the strength not only to embrace life again but to face what they have left behind. For Isabell, a loveless marriage turns into a brutal power struggle. For Bill, a time of healing exposes wounds that cut deeper than steel and realities that will test him to his core. For both, a tangle of changing relationships and the tragedy of another loss conspire to separate them once again. And this time they could lose each other forever. This was a very exciting book and I did not want to stop listening. Would recommend it to anyone. Another good book. Not Danielle Steel's typical. I loved it. 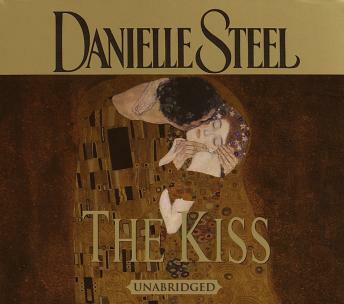 We have listened to or read almost all of Danielle Steel's books and this one was another winner. We usually start a book when we go to bed at night or on the weekends, in this case we started it late Saturday evening. My mother and I neither one slept until the book was finished, It was 5am before we knew it. Once again Danielle has written an outstanding love story that will pull at your heartstrings. It will make you laugh, make you cry, make you angry, make you sad, and make you wish the story would never end. Another must "read" or in this case, "listen to". Kudos to Danielle Steel. If you are into sweet, totally implausible stories and love Danielle Steel, then this could work for you. If not, skip it. The characters are all pretty bland and all in their own way, a bit pathetic. It was tolerable, but that is all. I like the readers voice, but did not feel it was appropriate for this story. Great story, kept my interest all the way through! Enjoyable romantic story. Joseph Siravo, the narrator, has a very pleasant voice. While I enjoyed this book, it was very predictable. Very romantic but curiously read by a man. I did not really care for the reader. I just may not be into Danielle Steel's writing style, but this book is so drawn out by her describing every single minute detail. I like books that get to the story without all the fluff. I sent it back after listening to only 1/4 of the first CD. If you like predictable romance, this book is for you. I have not read DS for a very long time, and was reminded that I should not bother.